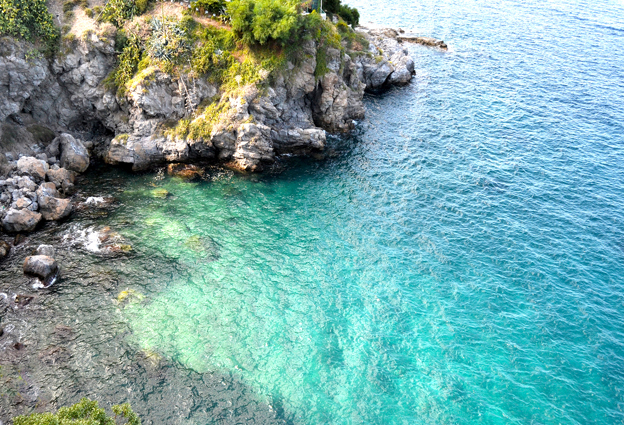 Strung across the Mar Tirreno, off the north-east coast of Sicily, are the Isole Eolie, gems to die for! 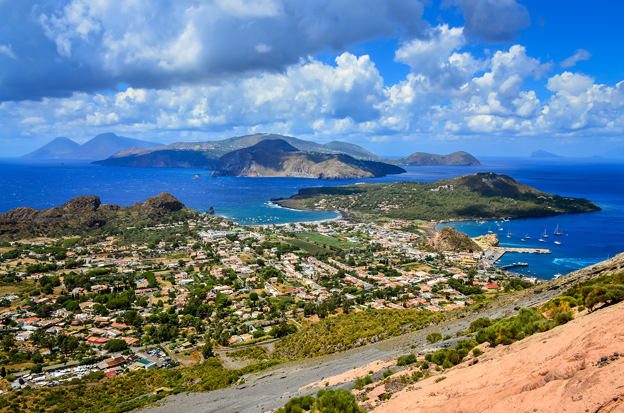 With a history that spans millennia and a name bestowed from the Greek god Aeolus, the Aeolian Islands have a lot to live up to. I asked myself if anywhere could compete with the allure of the Greek islands. On leaving the mainland, I got the feeling that the competition was about to hot up. 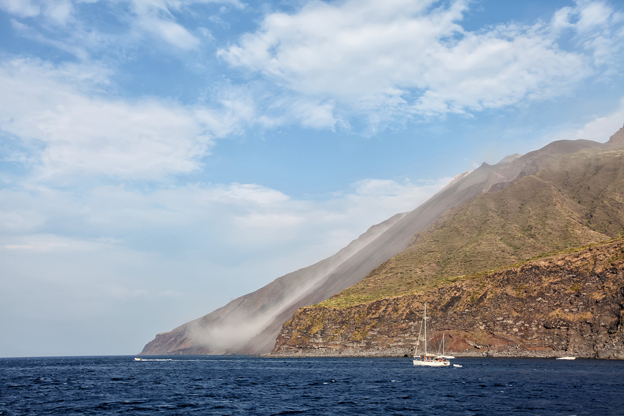 Easily the most active volcano in Europe, Stromboli possesses a unique fascination. Drawn like moths to a lamp, visitors come to this island for the natural pyrotechnic displays. These fire bursts lend elements of danger and excitement best viewed under the inky night sky. In the shadow of this sky, small boats ferry the inquisitive to see Stromboli’s sound and light show keeping a respectful distance off shore. Made famous by the 1949 Roberto Rossellini film of the same name, Stromboli performs daily and, as in the movie, the volcano pitches earthly strength against human will. The inhabitants of Stromboli are all too familiar with the danger facing them. Recent eruptions led to a mass evacuation with one side of the volcano falling away, changing the appearance of the island once again. In the light of day the full extent of how the islanders manage to live in such a tenuous state becomes apparent. Sugar cube houses cling precariously to the slopes of this simmering giant. Stromboli’s immediate neighbour is Panarea and where one island suffers the wrath of its surroundings, the other wallows in its own beauty. Its pretty houses hug the shoreline, each decorated with clusters of flowers and ornaments which appear to have been left by the gods. 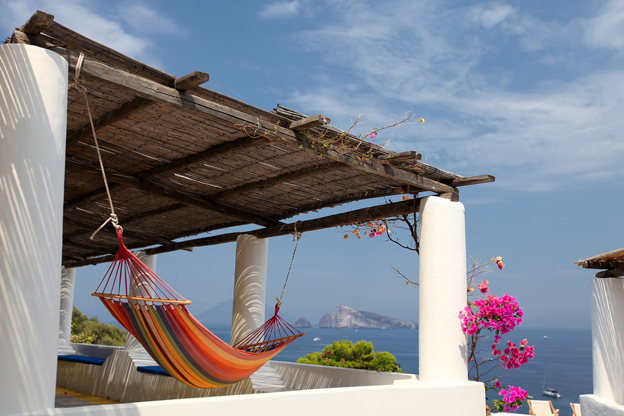 As a summer haven for the Italian rich, Panarea oozes elegance. Houses are painted from a broad palette of colours – yellow, ochre and rose, and stand in fine contrast to the rocky backdrop. Boats are the best way to explore the island’s coastline; years of wave erosion have created caves and sculptural forms out of the uncompromising rock. Clear waters together with a thriving underwater landscape make Panarea the best place for snorkelling and diving in the Aeolians. The island’s charm lies not only in its natural beauty but in its unspoilt character and car-free tracks. In the case of this little island, small is indeed beautiful. If we could name each island after a Greek god, Salina would have to be Demeter, goddess of agriculture. As the giardini of the Aeolians, Salina’s two large mountains create the perfect climate for the Malvasia vines that grow here. In fact it is so verdant it is hard to imagine that it’s part of the same island group. Being one of the largest of the islands, Salina is serviced by two ports and a road network that makes much of the island accessible. This is a true living and working island, a place where, other than the scooter hire shop and solitary postcard stand, you are hard-pressed to see the impact of tourism. However, fans of the marvellous actor Massimo Troisi come to Salina on pilgrimage, to the site of his final movie "Il Postino". What a perfect location for a film that tells a story about rural life, aspirations, love and heroism. The house that our hero visits daily to deliver letters to the exiled poet Neruda still stands amongst protective foliage oblivious to the interest it generates. Just below the cliff and on the edge of a large sweeping bay, the boathouses of Pollara nestle snugly into the rock. Used infrequently, these boathouses now spend their twilight years retired and basking in the light of the setting sun. The great news about coming to the Aeolian Islands is that all of them are accessible and small enough to explore in a day or two; the bad news is – well, there is none, unless you visit the Aeolians along with half of Italy in August. With such diverse beauty, I found it amazing there were none of the usual ogling hordes, even in July. Instead, each island offered its own and different atmosphere – a place that eked the romance out of you and cast its melancholic spell. Reflecting at the end of this island-hopping jaunt I feel that, like its neighbour across the Ionian Sea, Italy does have islands which thoroughly beguile its visitors. I, for one, was left wondering how long it would be before we boarded that ferry again. If you would like to continue the Aeolian Islands tour, check out part 2. This article was originally published in the print edition of Italy Magazine.